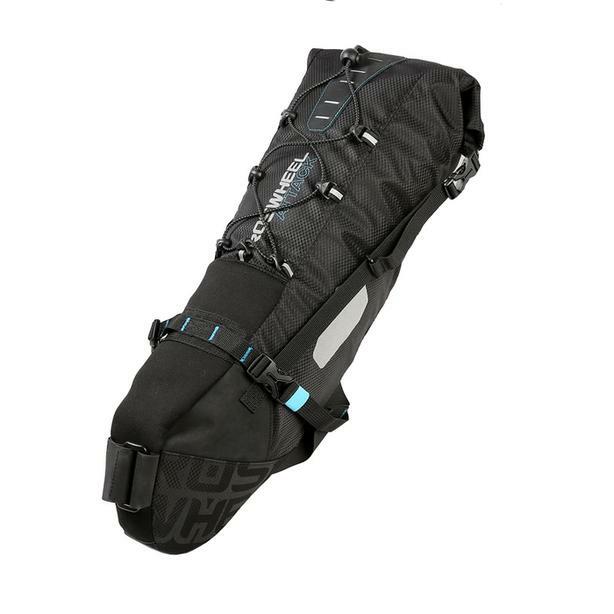 - L20" x W5-1/2" x D5-1/4"
Ideal solution for the bikepackers to maximize the storage while keep the weight down. 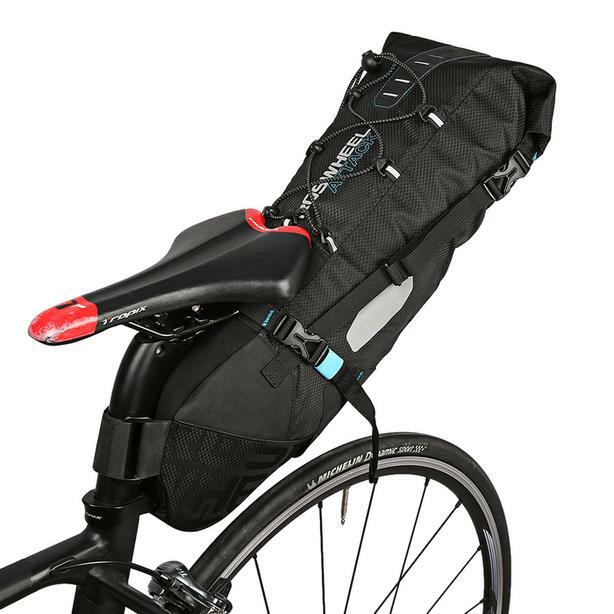 Replacing the traditional panniers and perfect for a fun weekend trip. Rolling top enclosure extends the volume up to 10L. 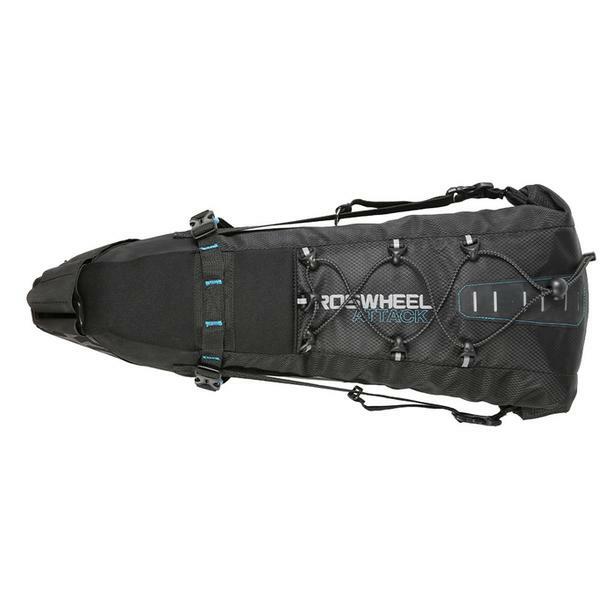 Perform best for storing changing cloths and lightweight gears. 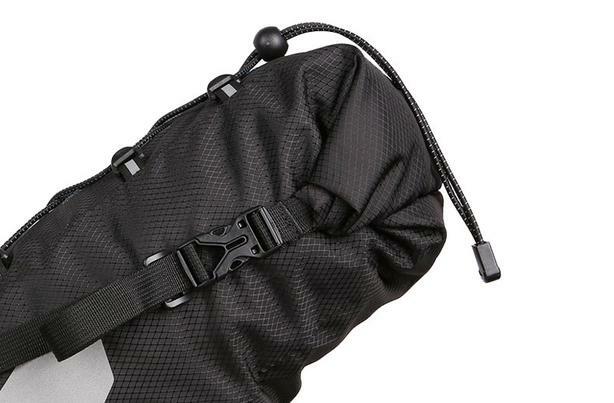 Reinforced straps secure the pack and provide a rattle free experience. - MATERIALS: made of TEAR RESISTANT JACQUARD NYLON, double layer WATER PROOF TPU as lining, built in PE BOARD strengthen bottom. 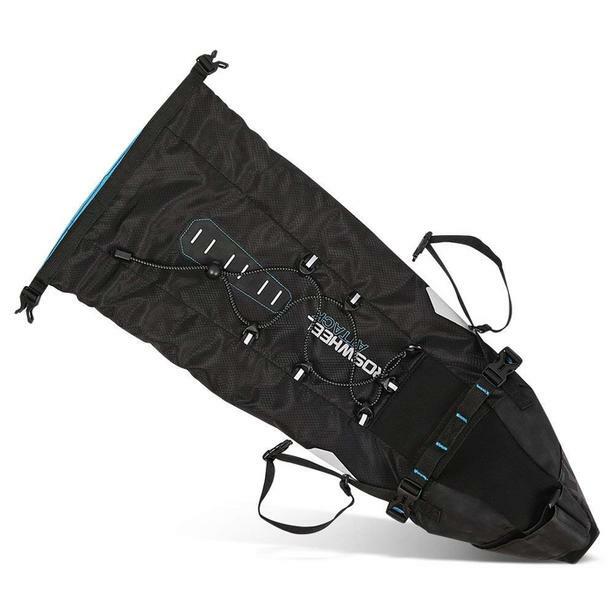 - ADJUSTABLE HIGH CAPACITY: capacity could be adjusted from 3L to 10L (1-2.6 gallons) by rolling bag top. The volume is almost as a small size rack bag. NO BIKE RACK IS NO MORE A PROBLEM! It can hold what you need. ONE BAG IS ENOUGH! 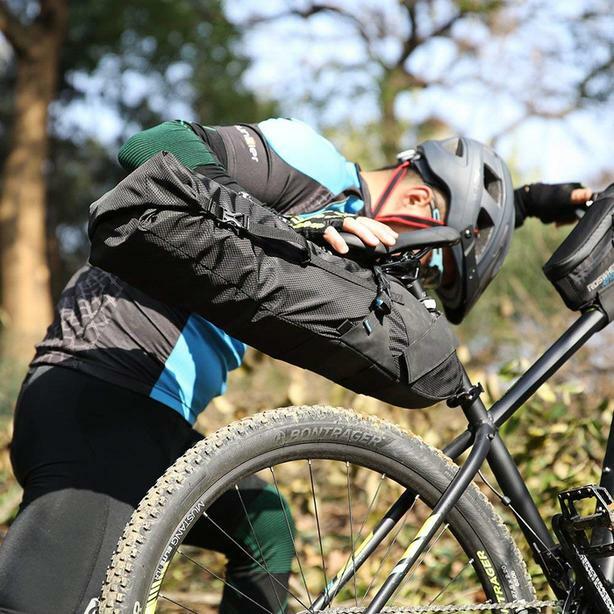 - EASY INSTALLATION & UNIVERSAL FIT: using one widen STRAP attach to seat post and two solid SNAP-ON BUCKLES under bike saddle. Compatible with almost all kinds of bike saddle and seat post. 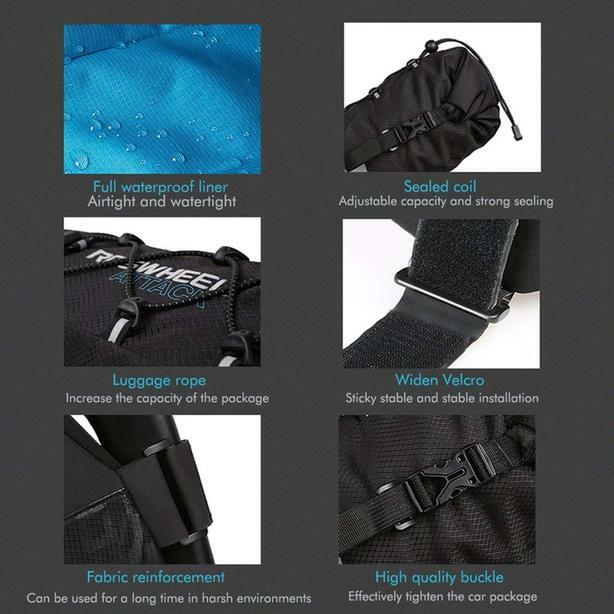 - WATERPROOF: made of waterproof fabric and built-in all weather lining material in all hidden compartments, 100% waterproof. Under certain circumstances it can be used as a water bucket. 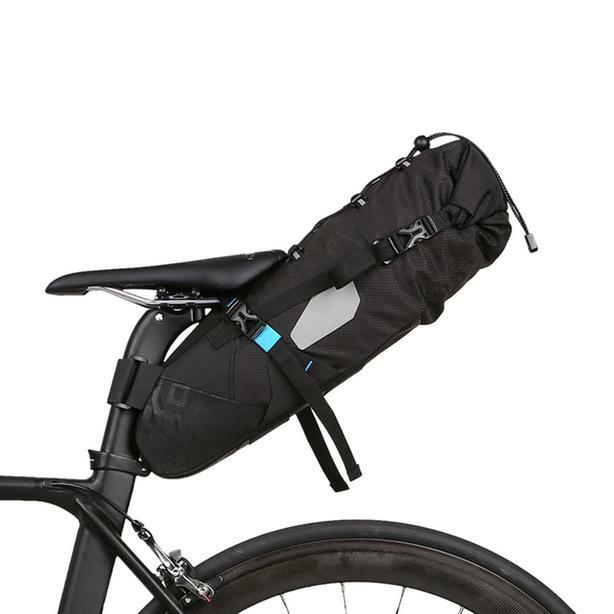 - SAFETY ENHENCE: big REFLECTIVE PADS on both side and in front of bag, MULTIPLE POSTION taillight loops for better visibility in dark or reduced light.